There are so many options when it comes to life insurance and it can be confusing to know what to do at any age. 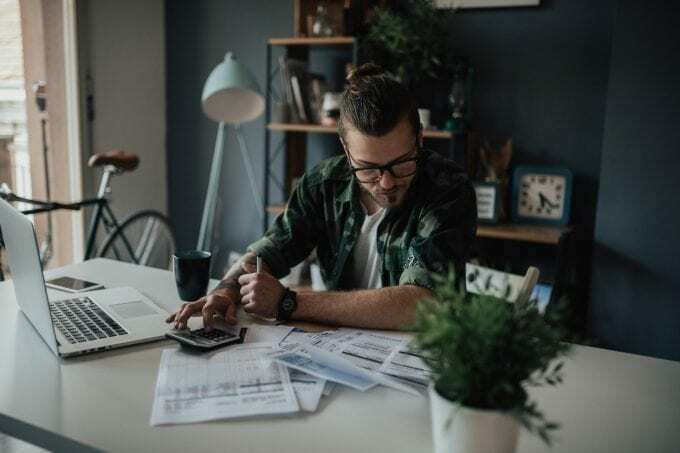 If you are in your 20’s or 30’s, you are already making some pretty big life decisions around paying down student debt, joining a start-up, purchasing your first home, or starting a family. With so much to consider you may wonder why you should consider adding life insurance to the mix. A recent survey by TD found that 55% of millennials surveyed don’t have any life insurance. The top financial priorities that trump life insurance are paying down debt (25%) and saving for a house (21%). Though paying down debt and adding equity by purchasing your first home are necessary to achieve a healthier relationship with your finances, purchasing life insurance should also be seen as a necessity. Below are five reasons to get life insurance while you are young. According to a recent study, Canadians without life insurance think it is three times more expensive than it actually is. Based on industry standards, a 30-year-old woman who doesn’t smoke can purchase a $500,000 term policy for 20 years for an estimated monthly premium of $18 to $28. That works out to be cheaper than buying your morning coffee five days a week for the month. There are two different types of life insurance that are available, Term and Permanent. Term insurance is meant to cover you for a specific period of time (i.e. 10, 20 or 30 years), whereas permanent insurance provides lifetime protection that doesn’t expire. Term insurance has no residual value if you cancel your policy or when it ends but you can convert your term insurance to permanent insurance up until the conversion expiry date – giving you flexibility along the way. 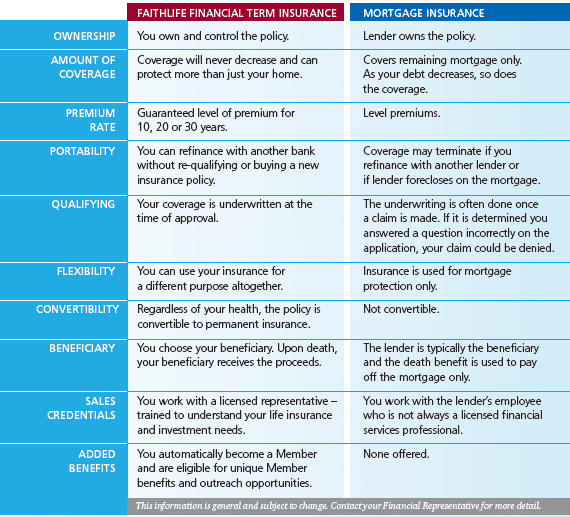 Term insurance is offered in a variety of different term lengths, including, but not limited to, 10, 20 and 30 year options. Permanent coverage includes Whole Life, Universal Life and Term 100. These policies may be best suited for burial costs, estate planning or retirement income strategies as the premiums are higher than term insurance but may create a residual value. You can also use the value in some permanent plans to take a premium holiday, borrow or withdraw money, or switch to reduced paid up insurance. At age 100, most policy’s becomes paid up and with Whole Life insurance the guaranteed cash value is equal to the face amount. Now that you have purchased your first home your lender will ask you about mortgage insurance. Your bank will offer to sell you mortgage insurance, but with FaithLife Financial Term 10, 20 or 30 insurance, you can make a choice that benefits your family with better features and more flexibility – often at a lower cost. As with any financial decision it is always best to compare your options. As a single professional, you might think that you don’t need life insurance because you are the only one relying on your income. You may not realize that any outstanding debt in your name could have a profound financial impact on someone you love. For married couples or parents with additional dependents, life insurance can cover final expenses and help your family maintain its lifestyle should there be an unexpected death. Finally, although it may seem far away, you will retire one day. The money you’ve accumulated in a whole life policy can help supplement other sources of retirement income. It can be used as a cushion, to pursue a hobby, travel or start a new business venture. Oftentimes, a combination of two policies—term and permanent—is an efficient way to maintain protection and flexibility up to and through retirement. This makes sense particularly as the need for the insurance varies over time. If you have or plan to have children, typically you will need more coverage when your children are young, and less as they become self-supporting adults. The term insurance can end after the children leave home and the permanent insurance can stay in force to provide added flexibility during retirement. If you’re joining or starting a small business, term life insurance might also make sense. As an Entrepreneur, you need to think about the end goal of the business and how long you plan to stick with this particular venture. Click here to read more about how life insurance can financially protect your small business and family. A financial advisor can help guide you through what type and how much life insurance you will need currently and throughout your life as changes occur. Connect with one of our FaithLife Financial Representatives who would be happy to conduct a free financial review and help you figure out the amount of protection you’ll need for your short and long-term financial goals.